You don't learn spells from spell books, instead you 'discover' spells by gaining experience. The formula is 1 random spell every 2 levels, up to level 20. Because of this, you only discover a few (10) spells per game. The only spell school is spellcasting. All spells are "spellcasting" type. You can use this thread is for feedback. I think this species should have no spell hunger. I'd suggest putting this on Hill Orcs instead, to distinguish them from Minotaurs more. I played to about XL 15 last night. It's a pretty radical departure from the way things normally work, but so far it seems like a fun gimmick. I do have some concerns, one of which is determining whether or not this is an appropriate gimmick for a species. Maybe it is, but even if it's not, there's at least some fun there and I think it's a good starting point to iterate from and then find the best place to house the mechanics. I'm looking forward to trying it a bit more, and maybe I'll be able to form a better opinion on what directions you could try taking the design after that. I've put this system on the ogre species for now, but I think it would work OK on trolls or a new species. I hope someone (gammafunk) will try it out. So, it seems like Ogre is just a placeholder species for this mechanic. Yeah the species is not set in stone. I think spells should be auto memerised. This seems cool. But doesn't it make more sense as a background, rather than as a species? I can see wanting to run this on multiple-species already. It has good synergy with Trolls, because terrible casting apts and they won't want a ton of spells anyway. Good synergy with Ogres because they have highest spellcasting apt. Good synergy with hybrids like Merfolk or Hill Ork. This is such a fun idea that I would hate to have it limited by one species! It would work as a background only if we changed the definition. Right now backgrounds are just starting kits - they're the stuff you enter the dungeon with. The only permanent part is a few stats, and there are none that do a big rules change like this one would. Realz wrote: It would work as a background only if we changed the definition. Right now backgrounds are just starting kits - they're the stuff you enter the dungeon with. The only permanent part is a few stats, and there are none that do a big rules change like this one would. I wouldn't mind more backgrounds with rule changes honestly. Berserker almost works the same way anyways (give up spellbooks), except you can stop worshiping Trog. But if this was shifted to a god and a Zealot added for it as a background (as a work around), you would have to have clever solutions on what happens to the spells when say: A bookstart converts with already known spells, abandoning the god (do you forget spells learned from the god?) and what advantage the Zealot starts with. I'm just saying we need to carefully consider the pros and cons of tying this to a race before committing to it as its still early in the design process. If its a race this potentially limits it too much so we lose out on fun combos with existing races, and niche combos like 'Wild Wizard' Trolls. If its a god, the conduct is odd to say the least: You have to forget all known spells so that you can then learn wild magic? You later abandon the god, forget all this magic you learned to learn book magic? This trivializes the downside. If its a background, well, its unprecedented for a background to have abilities or rule changes of any kind anyway. Main reason to tie it to a background is that it has the advantage of using all existing races and gods for combos. Last edited by Cornercat on Saturday, 2nd June 2018, 21:00, edited 1 time in total. If you put it on a god then you lose out on fun combos like Chei though :v) And this ability alone is not enough for a god. Anyway, I went ahead and added it to Hill Orcs and Trolls, for testing. How does it interact with Vehumet? Is it theoretically advantageous to join Vehumet, milk him for spells and then abandon, in every game? Played a full game OgFE of Vehumet. I like the general concept but the implementation has a couple problems. There is a bug in the current version where if you get a level up spell while Vehumet is gifting you the same spell, Vehumet won't gift you any more spells until you memorize that one. IMO Vehumet gifts should not be allowed since they detract from the species gimmick, but if you want to allow them then this bug needs to be fixed. I think the formula you're using to replace magic skills is a little off if the intent is for spellcasting to act like every spell school at once. It took something like 38 int and close to max spellcasting with Vehumet's double wizardry to cast shatter and tornado at reasonable failure. Those spells are normally hard to cast but not that hard, and it means the last spell you get is almost certainly going to be useless. I also noticed that dual-school spells stayed harder to cast than single school ones, which isn't the case if spellcasting just replaces every school iirc. Also I'm serious about no spell hunger. That would own imo. It was fun though, very enjoyable and worth a play. I hope to see this concept developed further. I've changed the spellcasting formula. It now applies a stronger boost, but has a -4 aptitude. Firestorm is castable at high enough levels. I've removed Vehumet gifts from the species. You now get 13 spells total, and the scaling is slightly different. I've removed spell hunger from the species for the time being. Honestly though, I don't expect this change to make it out of testing. Anyway, I've mostly been testing Hill Orcs. If you play this branch again, I'd recommend trying those. It might take a few days for CPO to update. I tried playing on CPO, but the lags were killing me (literally, suicided out of frustration). If any other server closer to Europe would be willing to host it, I'd gladly try it out though. Won a 15 rune game but did not really get much out of the change, but I did find out two things. The first is that you can get spells your god hates, and the other is that when you acquire book you will get a manual 100% of the time. I forget how many of them I got from scrolls but I used up five manuals that game. Finally finished another game, hill orc this time. It feels much better now. The discord/cblink combo I got this game was really fun to play around with, and so was getting dcall in zot. Maybe the power/success formulas could get tweaked a little more so that a level in spellcasting "feels" more like a level in each spell school would feel, but it's close enough imo. Species strength might need to come down as well since you get good defense and weapon apts and it sort of lets you have everything. That is relatively easy to take care of with a hp adjustment or some apt changes though. The concept is good and hill orc seems like a good species to put it on, would like to see this in mainline DCSS. Hellmonk wrote: Species strength might need to come down as well since you get good defense and weapon apts and it sort of lets you have everything. Yeah, I thought so too, but I felt iffy about making hill orc a bad melee species. Maybe hill orc is not the answer? Maybe it could go on Kobold, or something? That species is fairly bland and doesn't have HO's amazing aptitudes either. Ok. For funsies, let's take the cool magic thingy and put it on a new species. Oni (鬼) are a kind of yōkai, or supernatural ogre, or trolls in Japanese folklore. They are typically portrayed as hulking figures with one or more horns growing out of their heads. Stereotypically, they are conceived of as red or blue-colored (green-colored), wearing loincloths of tiger pelt, and carrying iron clubs. "You learn spells by gaining experience, not through books or gods." "You only train spellcasting to practice magic." I'd just like to point out that the picture above clearly shows a Giant Spiked Club. Seems to be a problem with spells. If I press z, then ? to list my spells, then press the letter of a spell, it will just say "Okay then" instead of casting the spell. I can only cast spells if I don't use ? to look at the spell list first. Ah, the ogre mage changes seem to have been reverted. Now my character can train all spell schools and is back to a +1 spellcasting aptitude. Yeah, on CPO the branch got changed to the Oni branch. Sorry if it messed your save up. Good eye on the menu bug. I fixed it locally. Might take awhile to hit CPO though. It is as big as Shaquille O'Neal. So if I''m reading this right, Shaq isn't considered a large "creature" irl? Shaq is 7.1 ft and 326 lb, in DnD a large creature is 7~9 ft minimum (depending on the DM) and not much info is given about weight. I just always pictured Crawl Ogres as being Shaq-sized. 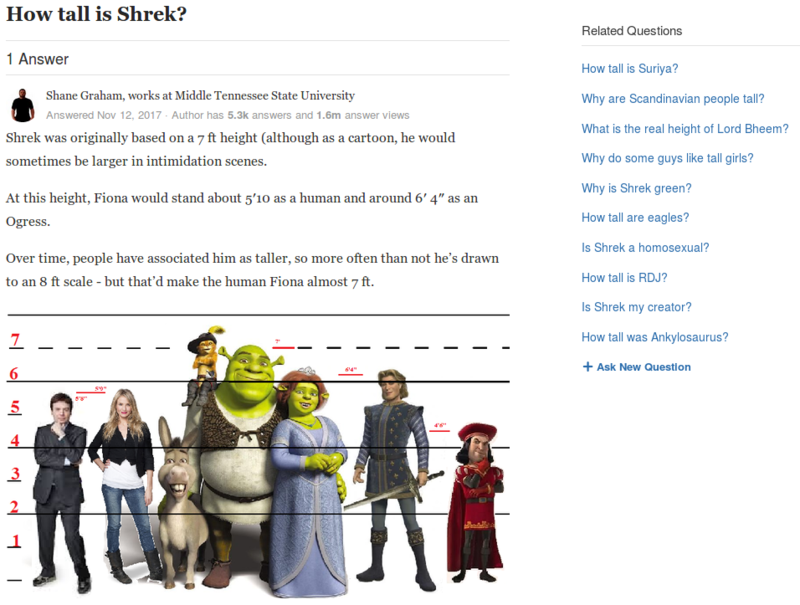 I always think of ogres as being at least twice as tall as a normal person. If you're going to have a new species, IMO there should be something else interesting about them. How about you give fighting a -4 apt, but have weapon skills use fighting instead? bhauth wrote: If you're going to have a new species, IMO there should be something else interesting about them. I think this would only work if say, the apt was a little higher or 1 of armor/ dodging or shields skill was thrown in. It just seems like the value for weapons getting this is alot smaller than spells, even if ranged is included. Although. . . if armor/ dodging/ shields/ stealth was grouped somehow and Invo/ Envo grouped either under spellcasting or with the previous group, we would only have 3 trainable things on this species. Would almost make them like wonky Gnolls. The entire ogre magic rework concept is basically wonky gnolls. The species plays almost nothing like gnoll though. And how that was being tested years ago. This seems a more interesting and fun core mechanic for them to auto learn a limited spell set, being an intrinsically magical race. I think some other characteristics they had could be debated independently. But I like this mechanic as core. Draconians are fun to see their color at 7 and this is similarly enjoyable and strategically interesting, every level.